It's our personal mission to cultivate growth in the Chicago area — not only economically, but personally and socially. Above all, people are the most valuable part of any community. We love to get to know you better, so we thought we'd introduce ourselves and put some names and faces to our organization. Carmelo Anthony was born in Brooklyn, New York, in 1984. Raised in Baltimore, Anthony became the No. 1 high school player in the country. As a freshman he led Syracuse University to the national title in 2003. That same year he was drafted third overall by the Denver Nuggets, becoming one of the league's top scorers. After seven-plus seasons in Denver he was traded to the New York Knicks in 2011. In addition to his NBA credentials, Anthony was a key member of both the 2008 and 2012 gold-medal-winning Olympic men's basketball teams. In 2005, he established the Carmelo Anthony Foundation to give back to the community through a variety of outreach programs and donations. He hosts an annual 3-on-3 tournament, known as “Melo’s H.O.O.D. Movement 3 on 3 Challenge (Holding Our Own Destiny)” in Baltimore. 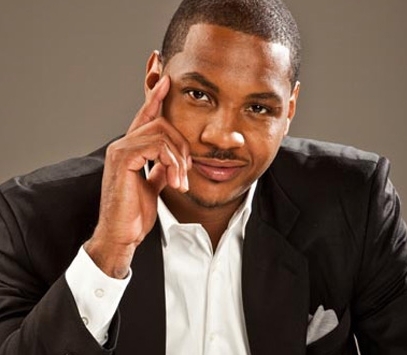 He opened “The Carmelo Anthony Youth Development Center” in Baltimore on December 14, 2006. After the 2004 Indian Ocean tsunami, Anthony donated $35,000 to relief efforts. He donated $1,000 per point scored against San Antonio and Houston in January, 2005.